21 Summer Camps in for "Santa Fe, TX"
The Nike Softball Camp at Pearland High School, Texas. This is a great opportunity for players of all abilities to refine their skills, have fun and become better players. Dive into fun and learning with us and our unique programs like sleeping amongst the stingrays. 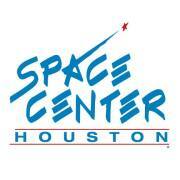 Experience science and the future of spaceflight while having an amazing time at camp. se provide a description of your camp and the sessions available. Youth Active, Best Martial Arts Summer Camp in Pearland!